Interview for sport-related GA positions to fund their study. Meet program faculty, current students and alumni. Learn more about careers in sport. The event will happen in Pullman. 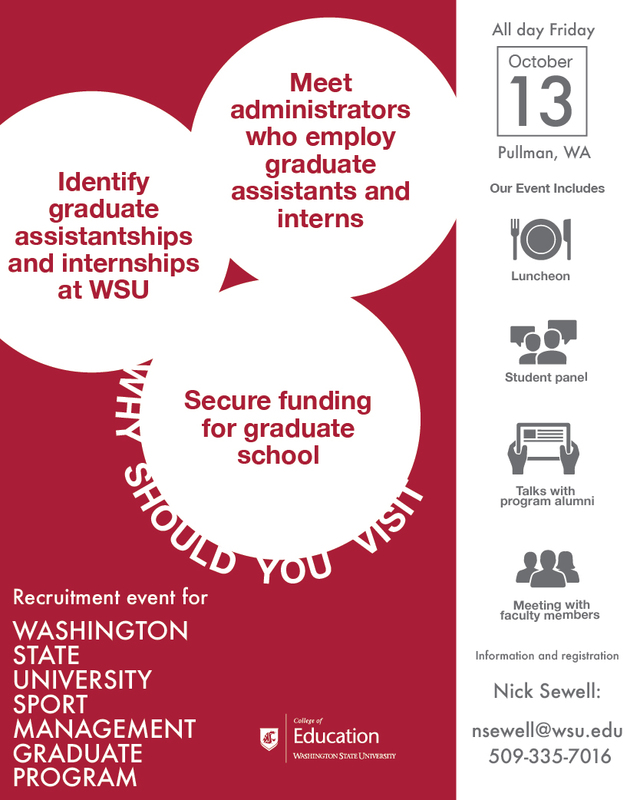 Contact Nick Sewell at nsewell@wsu.edu or (509) 335-7016 for information or to register for the event! Flyer for the Sport Management graduate program recruitment event on Friday, October 13, 2017.